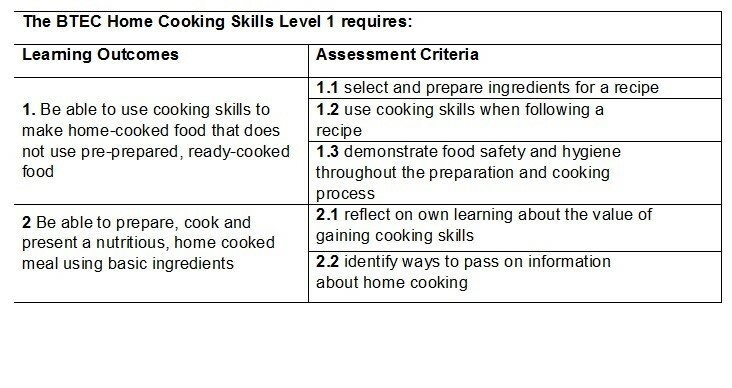 Being able to cook is an essential life skill. Learning to cook used to be passed down through the generations, but this is no longer necessarily the case. During this course, students will develop their cooking skills by exploring recipes for nutritious meals and how to cook meals from scratch. Each recipe is underpinned with knowledge about planning and sourcing food, hygiene, food safety and strong cultural elements looking at cuisines from around the world. 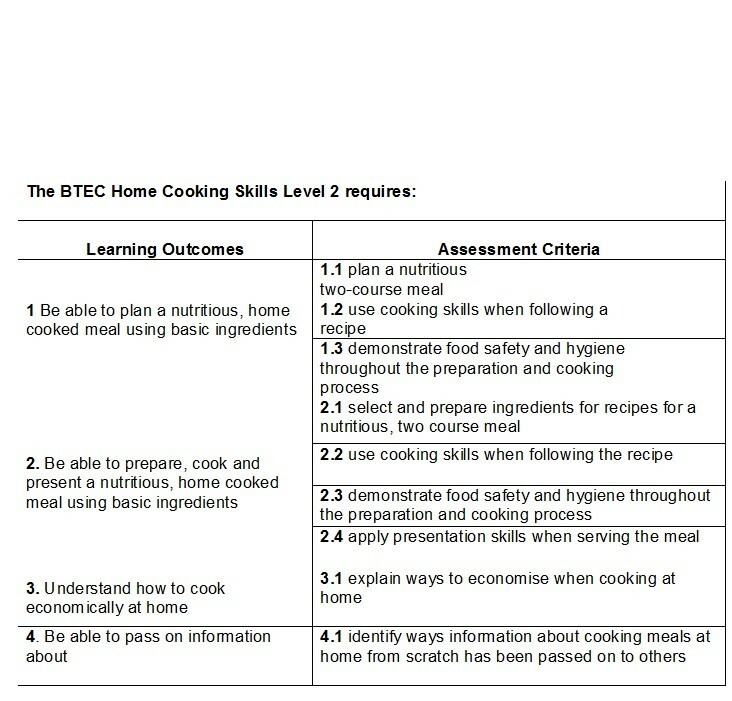 These sessions are aimed to give learners the skills and confidence to enjoy cooking meals at home, to apply skills to new recipes to continue cooking for themselves and their families and to inspire others. Our students often use their skills by catering for school events, open evenings and even provided a professional 3 course Christmas dinner to all staff and benefit from a newly refurbished professional kitchen. At the end of July 2016 two year 11 students entered the Jamie Oliver Competition 2016 and came runners up in the Group Section. Further success was achieved in the 2017 competition (link to news item). KS2 experience cookery as part of their board curriculum as overseen by the primary staff. Link to download/view Autumn 2 topics (opens in new window).